The Dweller Upon the Threshold? 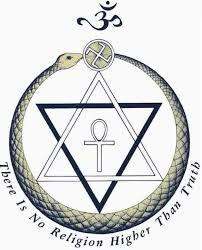 In the late nineteenth and early twentieth centuries a great many authors of high fantasy and weird fiction found creative inspiration from the Theosophical ideas. These include H.P. Lovecraft, Edgar Rice Burroughs, and Robert E. Howard. A lesser known writer named Talbot Mundy was also highly influenced by Theosophy. 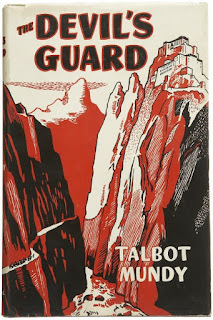 In 1926, Mundy wrote a book titled, The Devil’s Guard, a pulp novel of high adventure and magic set in India and Tibet. The book borrowed heavily from Theosophical canon. Mundy constructs his tale around the struggle between the Black and White Lodges. He also throws in the idea of dugpas, bodily-possession by evil spirits, and the hallowed nature of the Dalai Lama. Many of these plot elements would find a new and wider audience when they re-emerged on Twin Peaks, sixty five years after The Devil’s Guard was published. 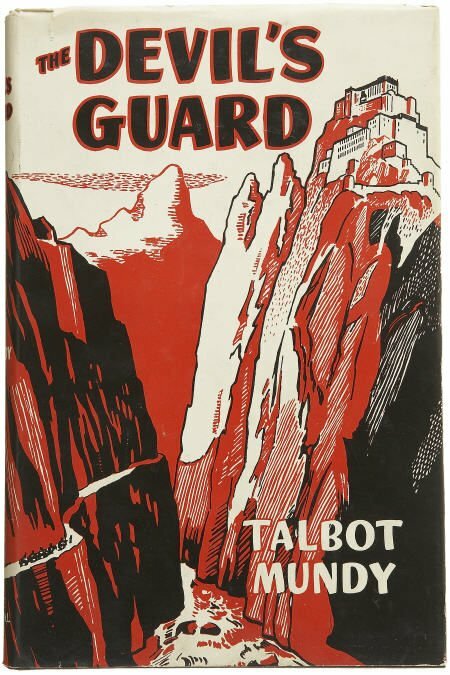 The first half of The Devil’s Guard is classic pulp adventure. The main characters, Jimgrim and Ramsden, must make the dangerous trip to Tibet through blizzards and across mountains where they encounter bandits and conspirators, all of whom attempt to stop their entry into the country. In the middle of the tale, Jimgrim and Ramsden are confronted by a menacing man who warns them not to continue their quest. This stranger seemingly appears out of nowhere. Jimgrim and Ramsden soon discover that this man is known as a dugpa. This explanation for the dugpas’ ability to possess others meshes perfectly with what happens in Twin Peaks. Leland Palmer was weak-willed and invited Bob inside him. 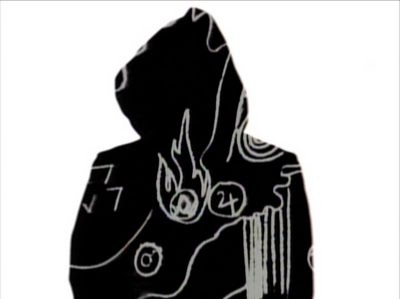 What’s more, Laura Palmer would have been targeted as a dugpa-host because, as The Devil’s Guard explains, dugpas control others by using “the self-destroying acts of whomever they would conquer.” Dugpas will attempt to cultivate a person’s evil side. The book elaborates on this point in a footnote, explaining that “sudden criminal outbursts of otherwise apparently sane people” can be attributed to possession by dugpas. Here, we see that a crucial piece of the Twin Peaks mythology—the possession of human beings by evil spirits— finds its roots in The Devil’s Guard (and by extension, Theosophy). But the similarities between book and series don’t end there. Lhaten explains that the White Lodge has a representative in the outside world -- the Dalai Lama. In episode 2 of Twin Peaks, Cooper reveals he once had a dream about the Dalai Lama and the “plight of the Tibetan people.” This dream changed Cooper’s life and ever since he longed to see the Dalai Lama reunited with his people in Tibet. As the story in The Devil’s Guard progresses, Jimgrim and Ramsden eventually become trapped in the Black Lodge. In the end, they must find a way to defeat their enemy (a former associate, now turned evil), and escape. Battles and chases ensue and, unlike Twin Peaks, the novel concludes with a definitive ending. Clearly, The Devil’s Guard could have been an influence on the creators of Twin Peaks. 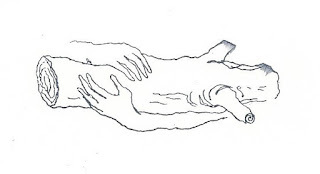 Mark Frost or David Lynch may have read the book long ago and it made an impression. 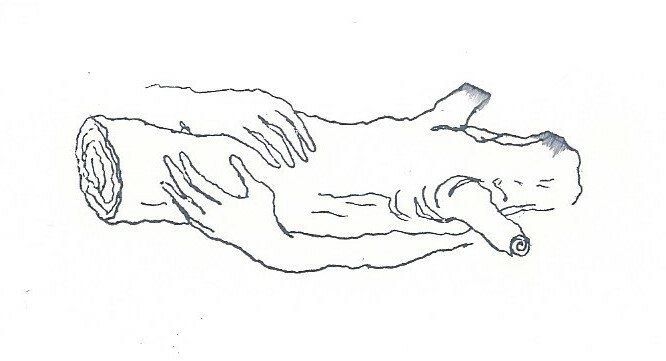 We know, however, that Talbot Mundy was drawing many of his ideas from Theosophy, as was Mark Frost when he was crafting the second season of Twin Peaks. 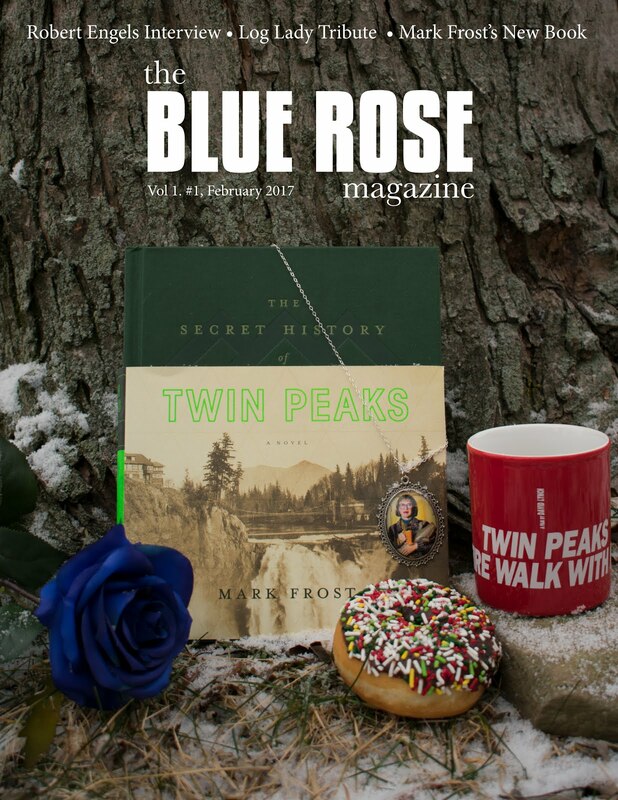 Perhaps the striking similarities between Twin Peaks and the Devil’s Guard are mere coincidence, the two works simply share a point of origin in what John Clute calls the “enormous, entrancing honeypots of mythology, cosmology, fairytale, speculation, fabrication and tomfoolery” that is Theosophy. Whatever the case, the ideas of the Black and White Lodges, and dugpas, and Dwellers Upon Thresholds, found new life in the mysterious world of Twin Peaks. Will this mythology be further explored in the new Showtime series? We shall see . . . .
Last year, the Twin Peaks community suffered a terrible loss with the death of Catherine E. Coulson, who played the Log Lady (i.e., Margaret Lanterman) in the series, and in the film, Fire Walk With Me. 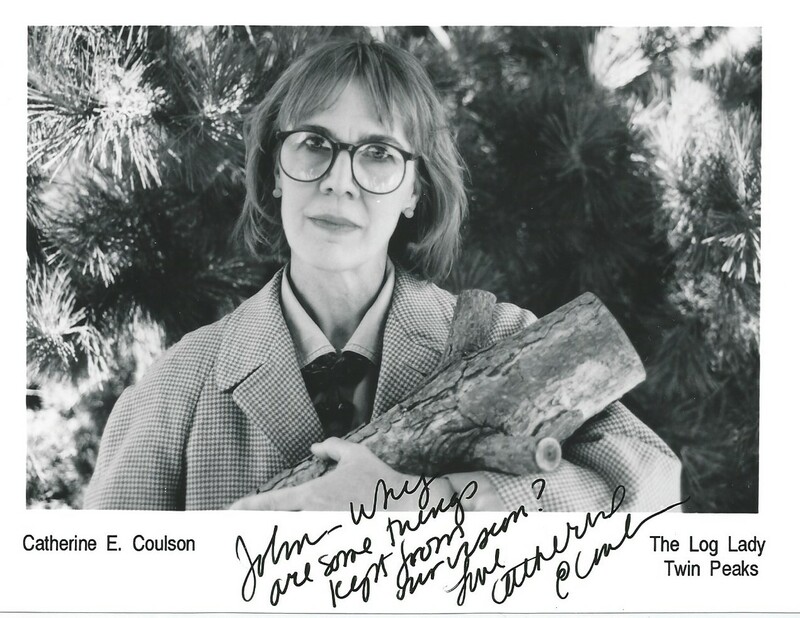 The log image from Catherine Coulson's "business" card. She often gave these to fans. So important was the Log Lady that David Lynch essentially reimagined her as an ambassador of Twin Peaks when he created “The Log Lady Introductions” for a later rebroadcasting. These introductions have since become a fundamental part of the show—an essential element of the overall mythology. Catherine Coulson always supported the work Craig Miller and I did on Wrapped In Plastic. She actually promoted the magazine from time-to-time, going so far as to once mention us in Variety (which was a thrill). She understood our passion for Twin Peaks because she shared that passion. This may be why she was so approachable, why she understood the enthusiasm and love so many people had for the series. Yes, she may have been an actor on the show, but, deep down, she was also the show’s biggest fan! When the full cast for the new Twin Peaks was recently released, I was most happy to see Catherine’s name on the list. What a great treat it will be to see the Log Lady again! Thankfully, she was able to participate in the new show before her untimely passing. I don’t expect her part to be much (perhaps she will simply introduce episodes once again). 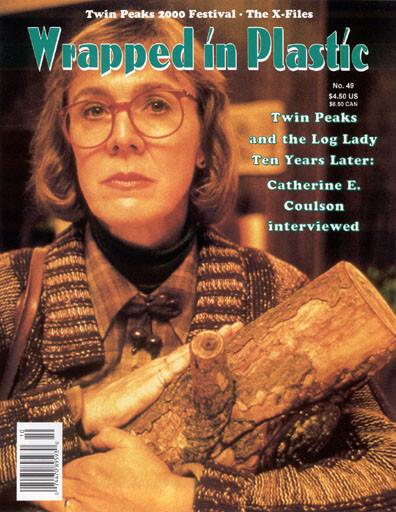 But Catherine Coulson will be there—the Log Lady will be there—fulfilling her role as the indisputable representative of Twin Peaks. 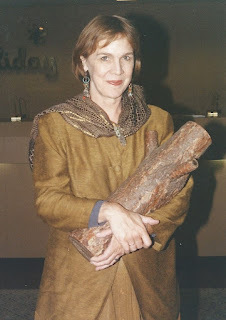 Catherine Coulson at the 1993 Twin Peaks Festival, Issaquah, WA. Welcome to The Obscure Twin Peaks! Joel Bocko was reading my new book and wanted to know more about the Florence Gould Seminar that is mentioned in the text once or twice. Here’s a report about that event, which took place just one week after the airing of episode 14 (where Leland was revealed to be Bob). 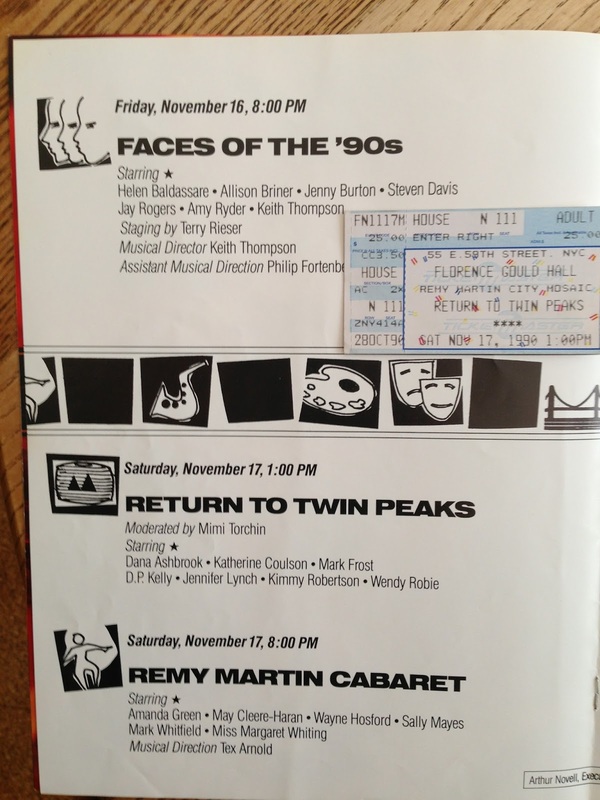 On November 17, 1990, Florence Gould Hall in uptown Manhattan hosted a fascinating seminar entitled "Return to Twin Peaks." This was a moderated discussion featuring a number of Twin Peaks personalities. On the stage, in the auditorium, stood four round tables with chairs, red table cloths, and candles. The dim lighting, candles and Twin Peaks music playing over the loudspeakers provided an otherworldly ambiance to the room. A group of people emerged from behind the stage curtain and took their places at the four round tables. (Who these people were, and why they were there, was never explained. 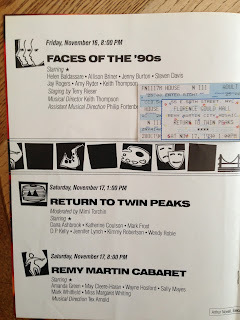 They were likely VIPs, lucky enough to share the stage with the Twin Peaks guests.) An announcer introduced Mimi Torchin, editor of Soap Opera Weekly and an avid Twin Peaks fan, who would be the moderator for the upcoming panel. She spoke briefly about the phenomena of Twin Peaks and then introduced Mark Frost, Jennifer Lynch, Dana Ashbrook, Wendy Robie, James Patrick Kelly, and Catherine Coul­son. Ms. Torchin provided most of the discussion topics and asked a majority of the questions. Many of these questions were di­rected to Mark Frost and Jennifer Lynch. Both talked about David Lynch, with Frost noting that he and David drank a lot of coffee as they wrote Twin Peaks. A week earlier, the show had revealed that Leland, possessed by Bob, had killed Laura Palmer. Ms. Torchin took a poll of the audience to see how many people had guessed the identity of the killer. Over half the attendees raised their hands. Mr. Frost provided a few details about the Bob plot, explaining that Leland did not know he was possessed. He promised that more details about the relationship--and Laura's knowledge of it--would be revealed in the next few episodes. Jennifer Lynch spoke quite a bit about her book, The Secret Diary of Laura Palmer. She talked about the basis for the his­tory of Laura's life before she died and explained how she came up with some of the material in the diary. Much of it, she said, came from consultations with her father and other writers from the show. She also visited shopping malls to observe tee­nage girls. When asked about home life with her father, Ms. Lynch told a funny story of how David once constructed a minia­ture volcano on the dining room table. For weeks, the family had to eat around this model volcano. Dana Ashbrook (who nervously shifted in his chair throughout the seminar) spoke of his early acting career and noted that his older sister was also an actress. Ashbrook thought it was funny that his character, Bobby Briggs, was supposed to be a punk and a jock combined. Wendy Robie, whose character Nadine believed she was 18 years old, said she hoped one day Nadine would notice the eye patch she wore and try to figure out what had happened to her. Upon hearing this, Mark Frost smiled and pretended to make a special note in a pocket notebook. Ms. Robie also revealed that the many figurines adorning the shelves of the Hurley house on the show were all disfigured or handicapped in some way (a one- legged dancer, a woman with an eye patch, etc.). Catherine Coulson, after apologizing for not bringing the Log Lady's log with her, spoke of her long-time working relation­ship with David Lynch. She recounted the now famous story of how Lynch, when working with Coulson on Eraserhead, said that he would someday cast her as a lady with a log in a television show called "I'll Test My Log With Every Branch of Knowledge." She spoke more about her interpretation of the Log Lady, but was careful not to give too much away regarding the mysteriousness of the character. David Patrick Kelly spoke briefly about his character, Jerry Horne, and Jerry's relationship with Benjamin Horne, but had little else to say. After only a very few questions from the audience, Ms. Torchin thanked the panel of guests for attending, and the semi­nar was over. Get more interesting facts and history about Twin Peaks in The Essential Wrapped In Plastic! The Essential Wrapped In Plastic Now Available on Kindle! A few people have asked if my book would be available as an ebook. The answer is--yes! 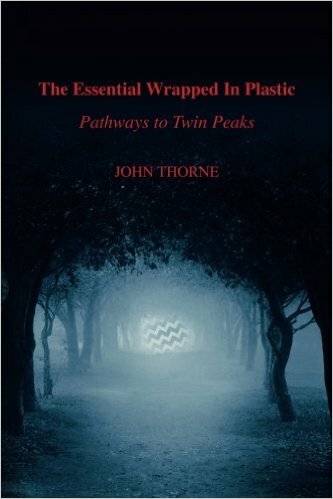 The Essential Wrapped In Plastic is for sale on Amazon as a kindle ebook. The great thing about the electronic version is that you can search the text (the book does not have an index). Now you can look for terms, characters, and people you might want to reference. So, if you were waiting to get the book in this version, now you can!